Though the workers’ compensation system is meant to provide a financial safety net for those who are injured on the job, valid workers compensation claims may be denied for various reasons – ranging from missing a filing deadline or failing to submit the proper paperwork to insurers misinterpreting (or misconstruing) the available evidence. Additionally, even if a claim is approved, benefits can be wrongfully reduced or terminated down the line for any number of reasons. When injured workers face these challenges with claims and benefits, they can turn to a Fort Wayne workers compensation lawyer at Finderson Law, LLC for experienced help fighting for the benefits they need and deserve. As diligent, resourceful problem solvers, we have the insight and skills you can rely on for help appealing a denial, reduction or termination of benefits. Call (260) 420-8600 or email us for more information about your rights and options. Let us explain how you can move forward to position your workers’ compensation appeal for the best outcome possible. The case is initiated by filing a Request for Assistance (State Form 45442) with the WCB. A Case Coordinator is assigned to the case to conduct an inquiry and investigation. The Case Coordinator examines the evidence and issues a finding. If any of the involved parties (i.e., the worker, employer or insurer) is dissatisfied with the finding, the formal dispute resolution process can be the next step. A case number is assigned, and the case is schedule for a pretrial conference or hearing with a Single Hearing Member of the WCB. All involved parties are notified of the date and location of the conference and/or hearing. During the hearing, each side is given the opportunity to present their arguments and evidence. Each side is also allowed to question the witnesses presented by the other side. After both sides have finished presenting their case, the Single Hearing Member will issue an “award,” explaining the findings and conclusions of the hearing. If any involved party is dissatisfied with the findings of this hearing, the next phase would be to request a hearing with the Full Board (all six members) by filing an Application for Review by Full Board (State Form 1042) within 30 days of the date on which the Single Hearing Member’s award was issued. 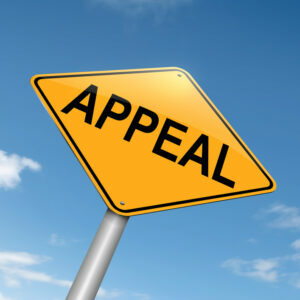 Subsequent appeals would then be filed with the Court of Appeals (and, if necessary, the Supreme Court of Indiana). Working diligently to position the appeal for the best possible resolution. When you need effective help navigating the workers’ compensation appeals process in Indiana, you need a Fort Wayne workers compensation lawyer at Finderson Law, LLC. To find out more your potential claim and how our attorneys can help you, call (260) 420-8600 or email us. With more than 20 years’ experience advocating the rights of injured workers, our attorneys are ready to partner with you and help you secure the benefits you likely deserve. Let us explain how our representation can make all the difference in your workers’ compensation case. We don’t charge any fees unless we obtain a recovery for you. This means that you have nothing to lose and potentially a lot to gain by contacting us to find out more about your legal options. Our history of success in workers’ compensation cases has earned us a 5-star rating on Facebook. From offices in Fort Wayne, we are proud to represent workers throughout Allen County and the state of Indiana.